During this Disability Café we shed light on the subject of mental ill health with a mental health expert, supportive employers and employees who have experienced mental health issues sharing their experience, journeys and insights. Click here for summary slides of the event . Justine is a Senior Inclusion & Diversity Manager in Baker McKenzie's London office and focuses on the full diversity spectrum, including gender, ethnicity, social mobility, LGBT+ and disability. During Justine's time in this role, Baker McKenzie have been recognised as Social Mobility Business Compact Champions, Contextual Recruitment Pioneers and as a Stonewall Top Global Employer. The firm was recently appointed to the This is Me in the City Steering Group; a Lord Mayor’s Appeal campaign, which aims to reduce the stigma associated with mental ill health. In 2016, Justine was named Stonewall's Workplace Ally of the Year in recognition of her work to support the LGBT+ community. Justine previously managed Baker McKenzie's Graduate Recruitment team and has actively sought to improve access to student and graduate opportunities within the firm. James is the European Sales Support and Bid Manager at Enterprise Holdings, working for the company for more than 21 years and holding multiple positions during this time. Having lived with depression and anxiety for more than 25 years, James received a formal diagnosis nearly 10 years ago, having been forced to take an extended leave of absence. James is passionate about raising awareness of mental health, helping to break the stigma that still exists (especially in the workplace) and ensuring that mental health needs is treated on an equal footing with other diversity strands. In order to promote a more open environment for all employees, he talks openly about his own experiences and he is a Champion for Time to Change, the growing social movement that exists to transform how we all think and act about mental health problems. James is driving Enterprise’s efforts to sign the Time to Change Pledge and, as a member of the Disability Strand of the Diversity Team, organises company events around significant Mental Health days. Mark joined Accenture in 2014 and is now a Senior Analyst within the Technical Delivery team. Since joining the firm, Mark has been increasingly involved in Mental Health initiatives, such as becoming a Mental Health Ally and joining the Accent on Enablement forum. His own experiences of Mental Health issues, which started in his final year of university, is a big factor in his passion for helping others who may be struggling with similar problems. Jack is a serial entrepreneur, having now set up two businesses whilst being a student at Loughborough University studying Banking, Finance and Management. He sees life as an adventure and believes others should to! Having struggled with Mental Health issues for much of his childhood and adolescence, Jack completely changed the way he thinks and sees the world. He has been on a mission to find his passion and through this has found a way to make his passion his day-to-day job. Jack believes that the early internships with the larger companies allowed him to better understand the world and to realise what was right for him, had he not been in communities such as MyPlus he might not've had the confidence nor the opportunity to do so. Jack's businesses include an African apparel company called The Social Mercenary which is ethically sourced from Ghana, West Africa (www.thesocialmercenary.com | @thesocialmercenary) and Haslo an import and export company that focuses on the distribution of Hazelnuts from Georgia in Eastern Europe. 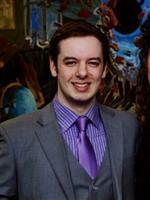 Adam is a future trainee solicitor with Baker McKenzie. Before starting his career in Law, Adam studied Politics at Durham. During his time at university, Adam struggled with bouts of depression, upon which his condition was diagnosed for the first time. On moving to London, he volunteered for two years with a mental health helpline, serving for one year in their executive committee. While in a brief period of employment between academic studies, Adam was involved in a mental health campaign addressing associated stigmas in workplace environments. Adam is keen to improve access to mental health services and reduce the stigma around those suffering from mental health-related issues, and is involved with this project for that end.